Starting from the visitor center on the Craggy Gardens trail, you reach this intersection with the Mountains to Sea Trail. The Craggy Gardens trail continues uphill from this intersection. 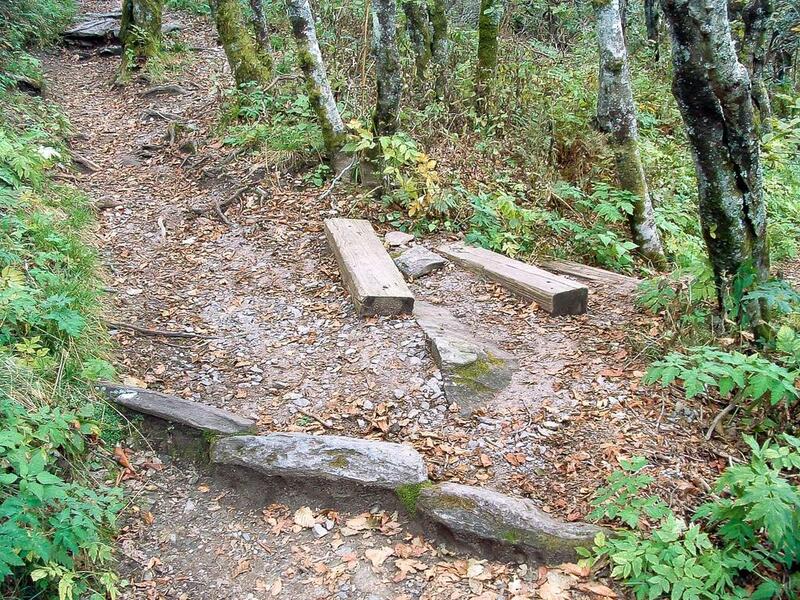 The Mountains to Sea trail comes in from the right and continues uphill along with the Craggy Gardens Trail. The Douglas Falls trail is accessible by turning right here.